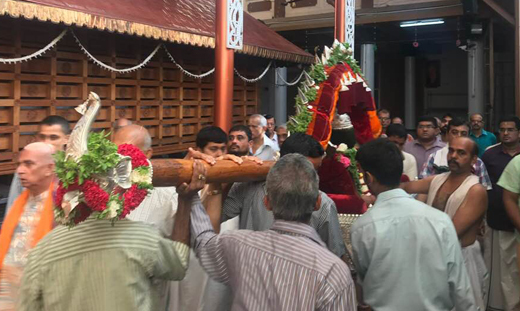 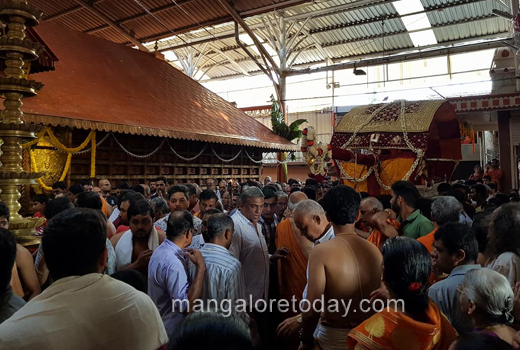 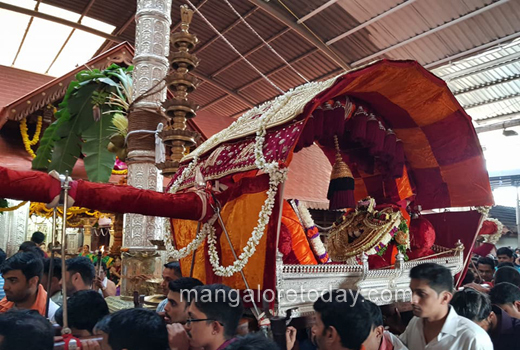 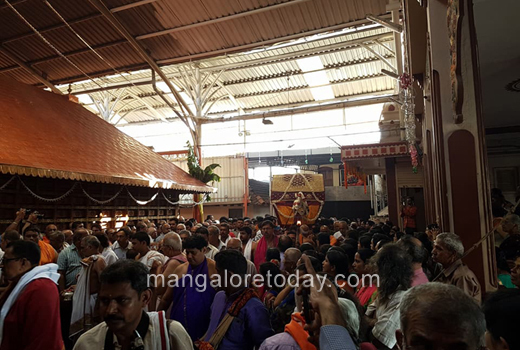 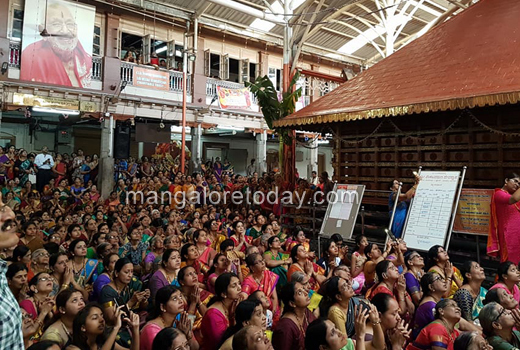 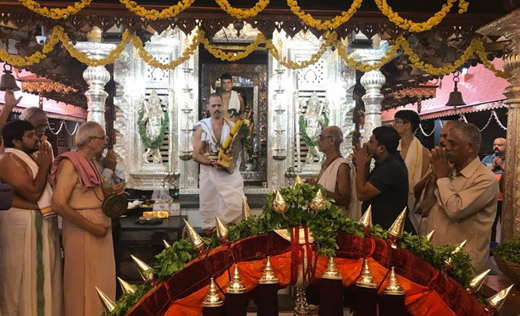 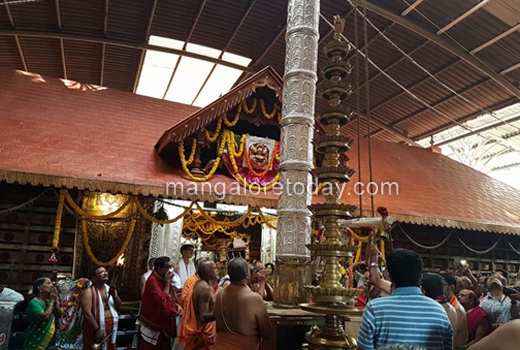 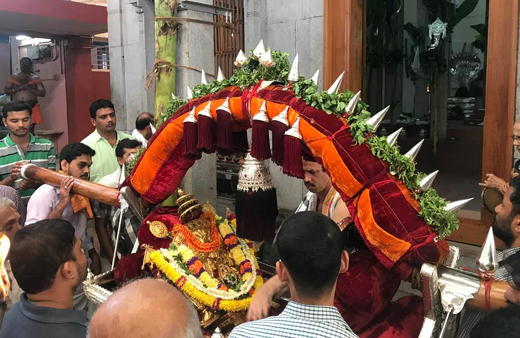 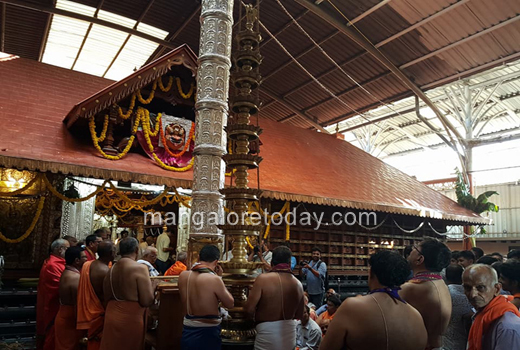 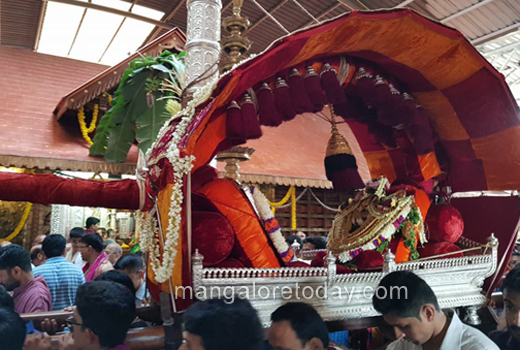 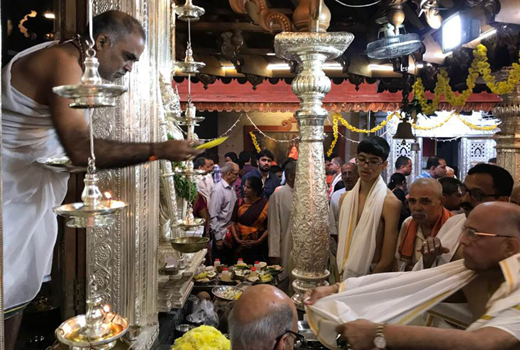 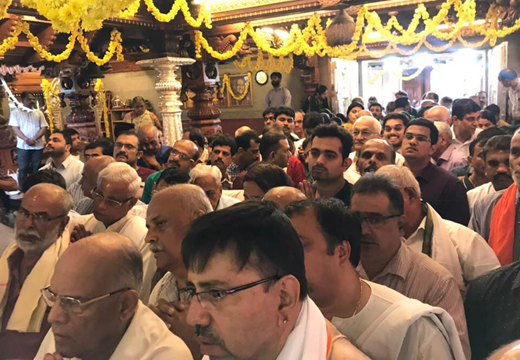 Mangaluru, Jan 20, 2018: The annual Car Festival celebrations of Shree Venkataramana Temple at Carstreet commenced on January 20, Saturday with the Dhwajaarohana. 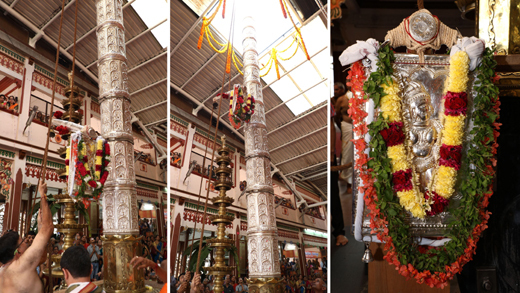 The Temple is tastefully decorated and illuminated for the annual grand event. 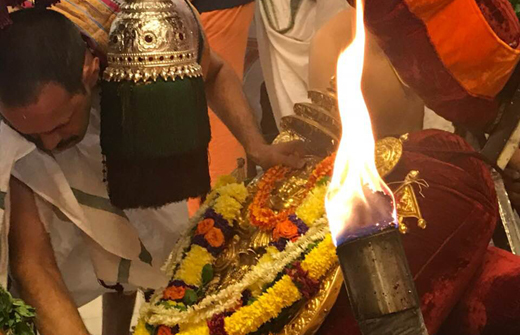 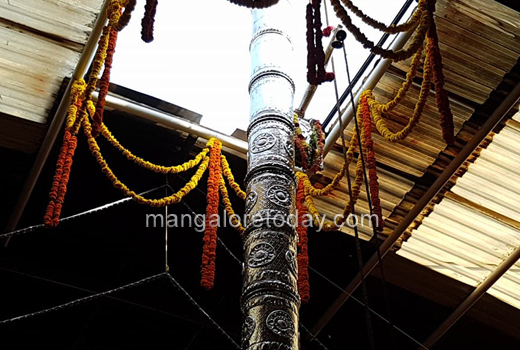 The Mriga Bête or Sanna Rathothsava will be held on January 23, while the Brahmarathotsava also famously known as the Kodial Theru will be held on a grand note on January 24 followed the Avabhritha Utsava and Okuli on January 25.